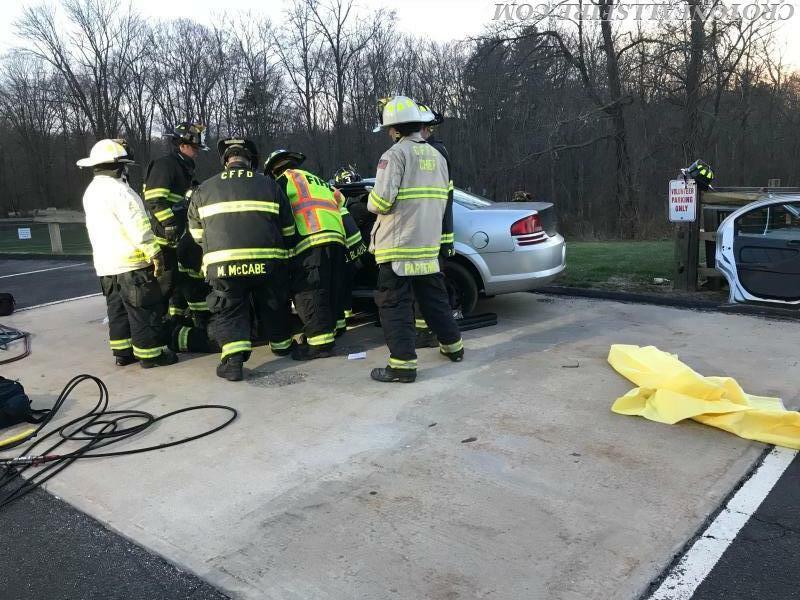 Vehicle extrication and patient removal at auto accidents were the topics at the Department's weekly drill on Monday, April 23, 2018. 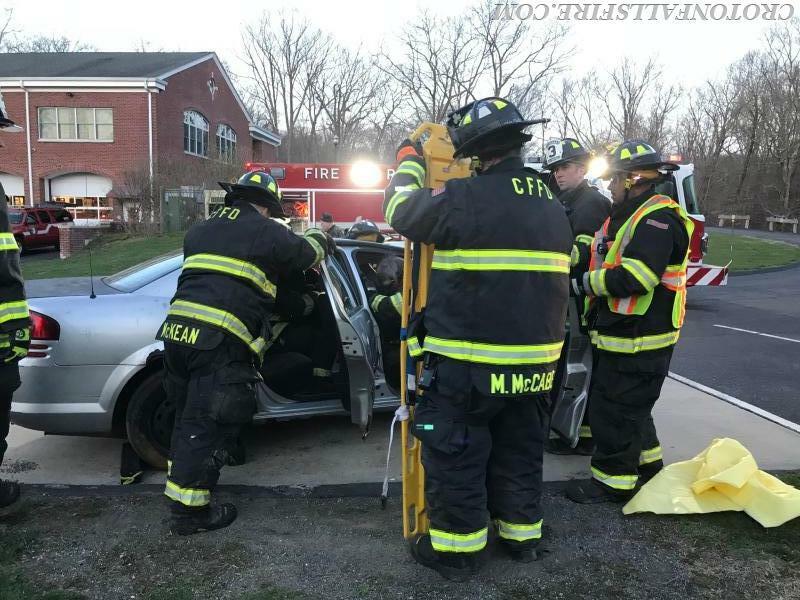 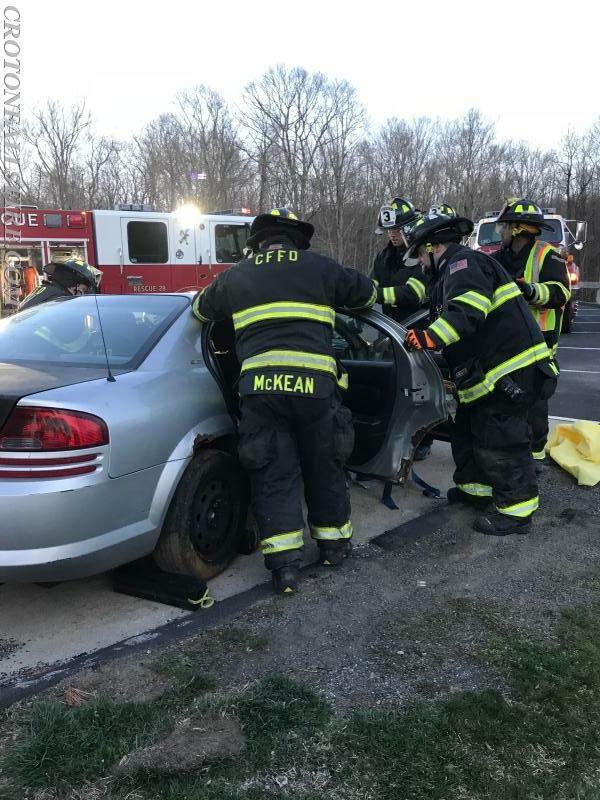 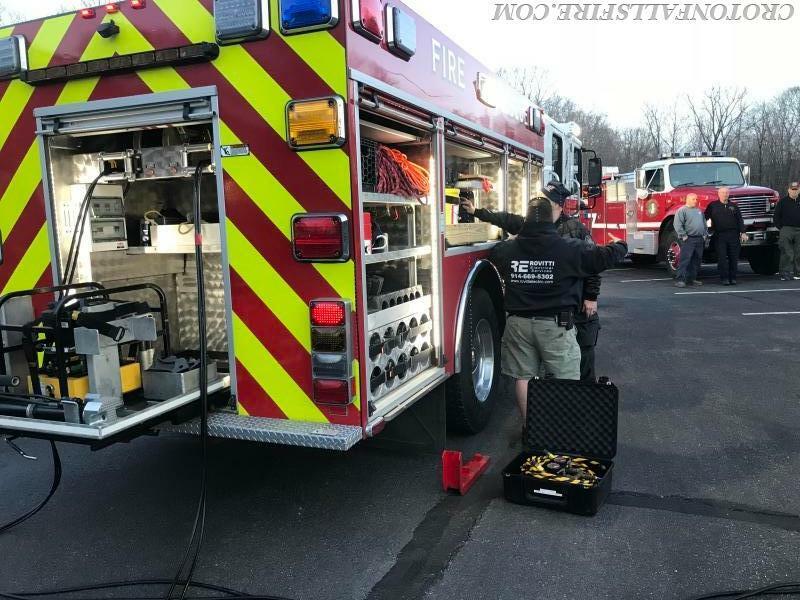 Working as a team, firefighters used hydraulic rescue tools to train on different techniques to remove a patient from a vehicle when the vehicle's doors are compromised. 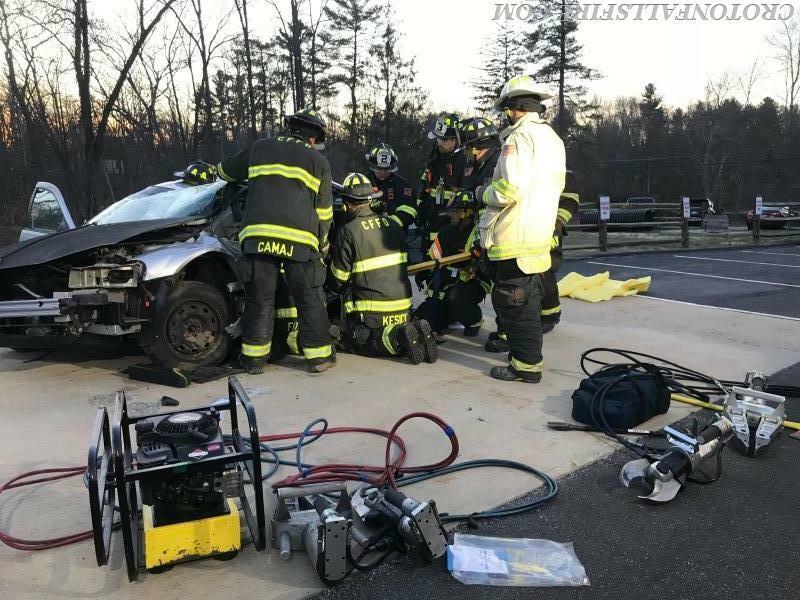 Using a hydraulic spreader to force apart structural elements of the vehicle (the "Jaws of Life") as well as a hydraulic cutter, firefighters worked through several simulated accidents on a vehicle donated for training purposes by Bryson's Towing. 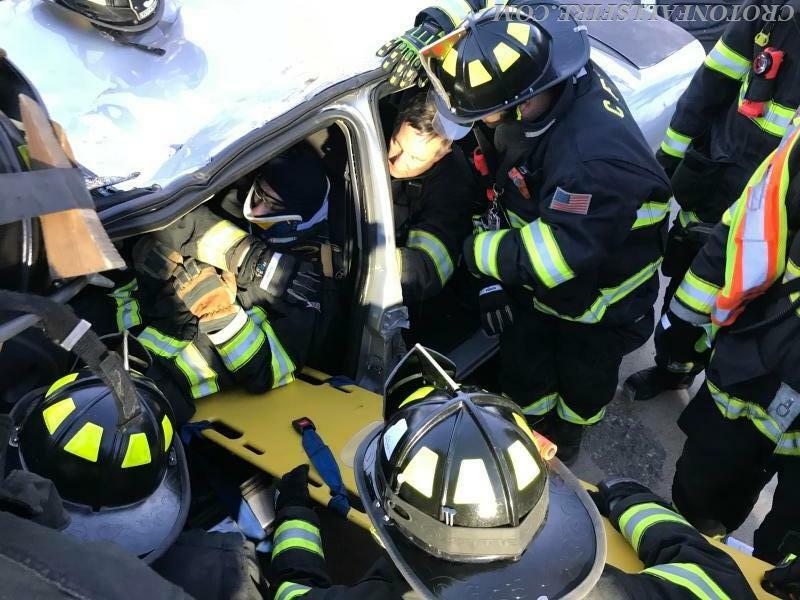 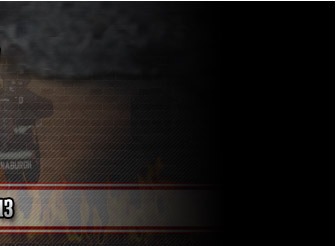 The different scenarios required firefighters to remove the vehicle's doors and roof while maintaining a safe environment for firefighters and the simulated patients.